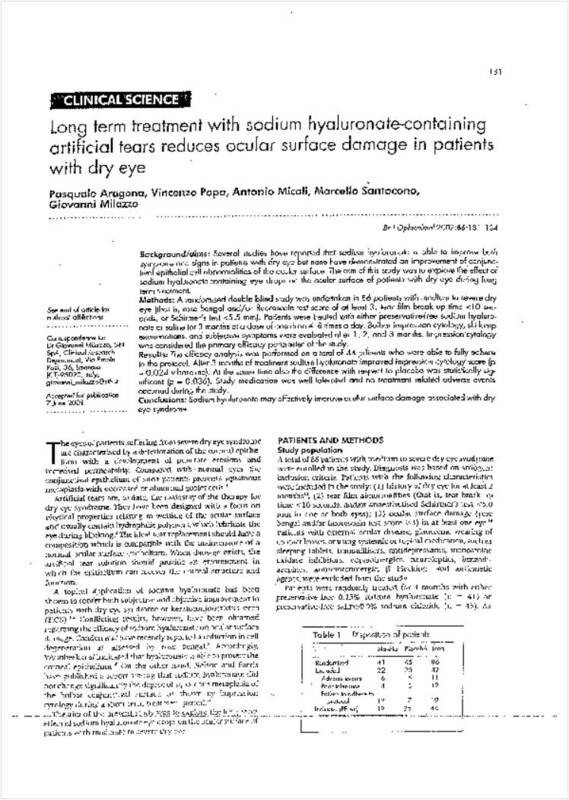 Prabhasawat P, Tesavibul N, Kasetsuwan N.
Sodium Hyaluronate Based Products. 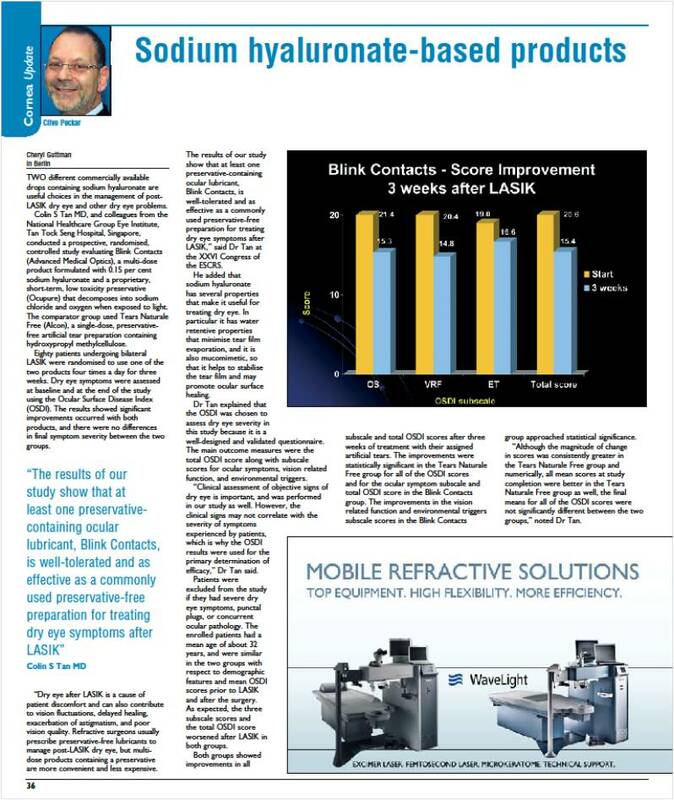 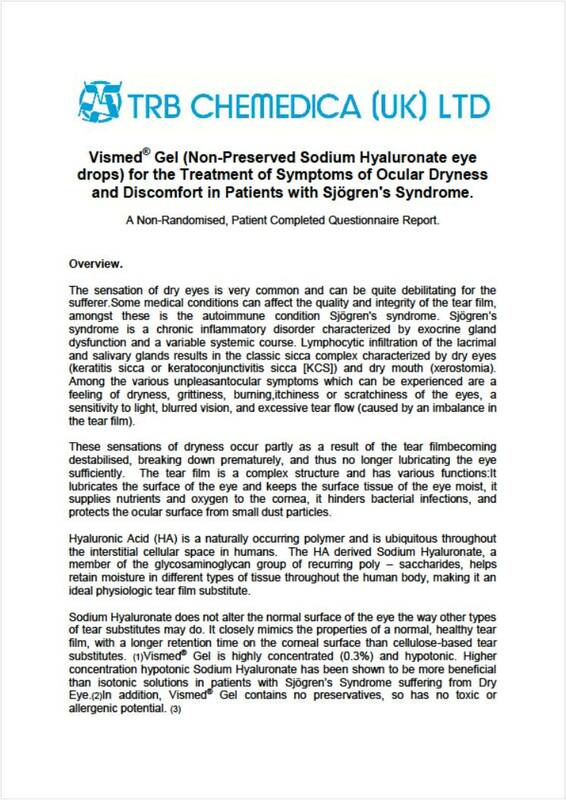 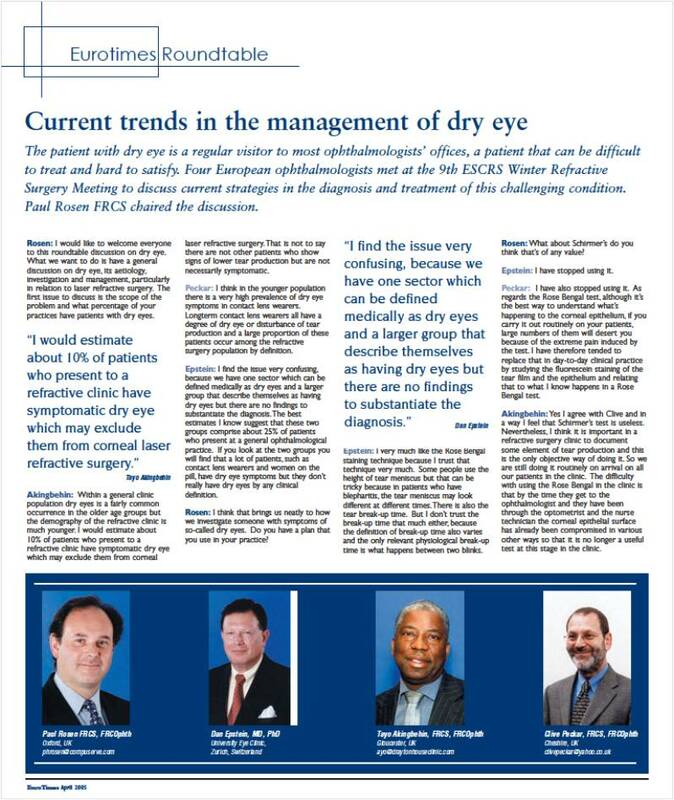 Management of post-LASIK dry eye and other dry eye problems. 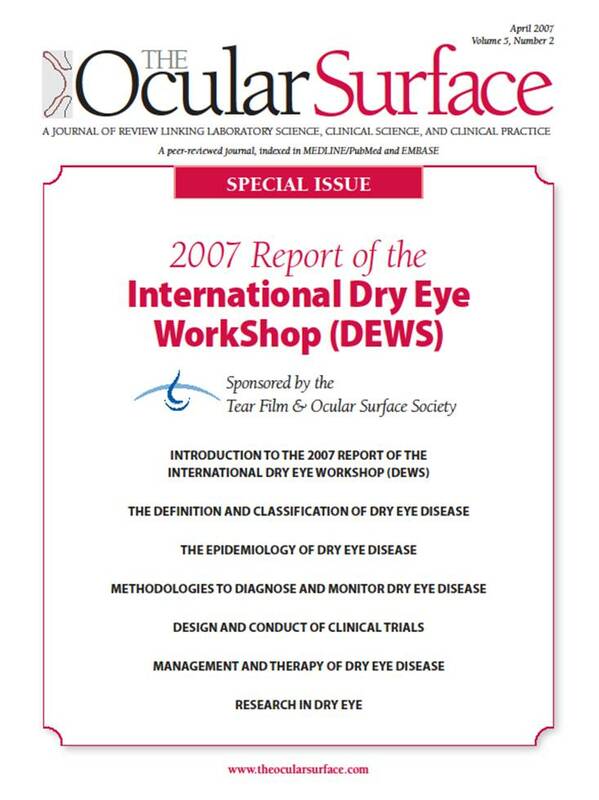 Vinciguerra P, Munoz MI, Camesasca FI, Grizzi F, Roberts C.
J Cataract Refract Surg. 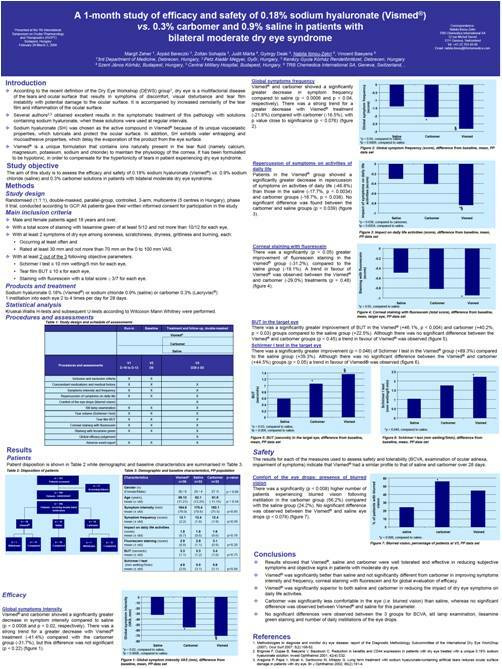 2005 Jan;31(1):82-7. 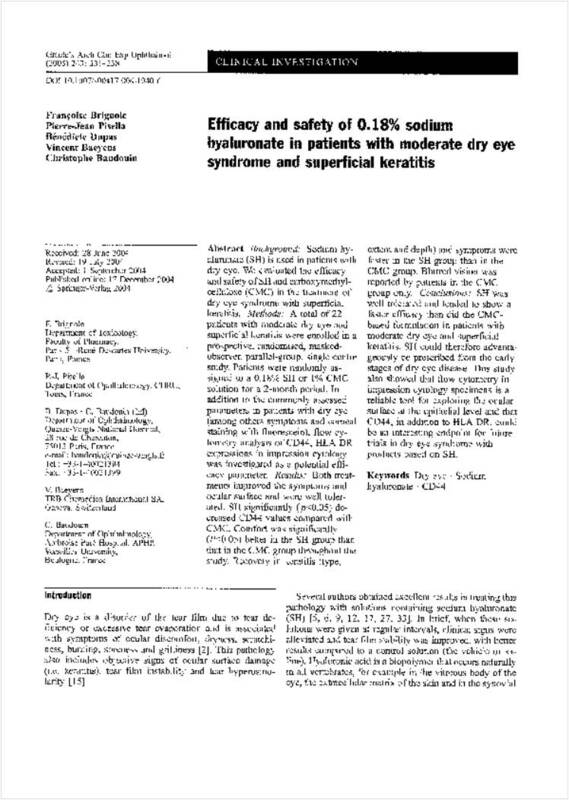 Long-term follow-up of ultrathin corneas after surface retreatment with phototherapeutickeratectomy. 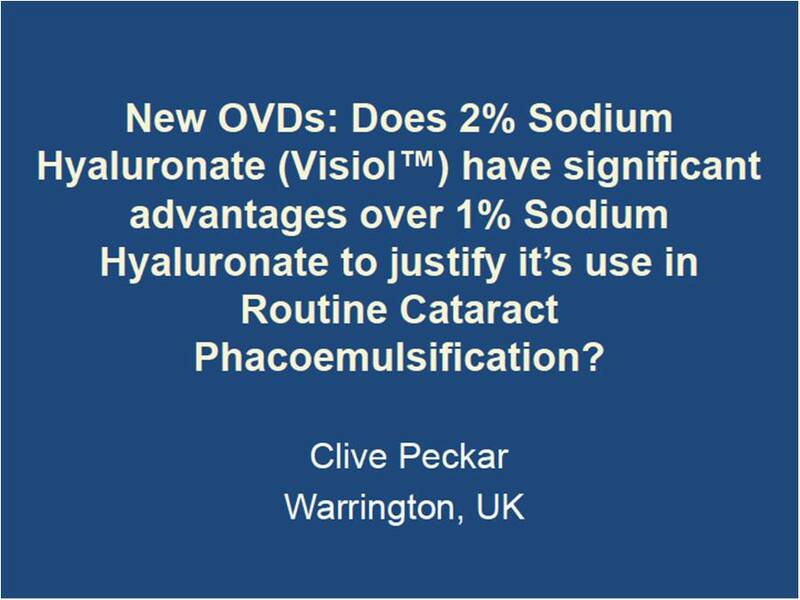 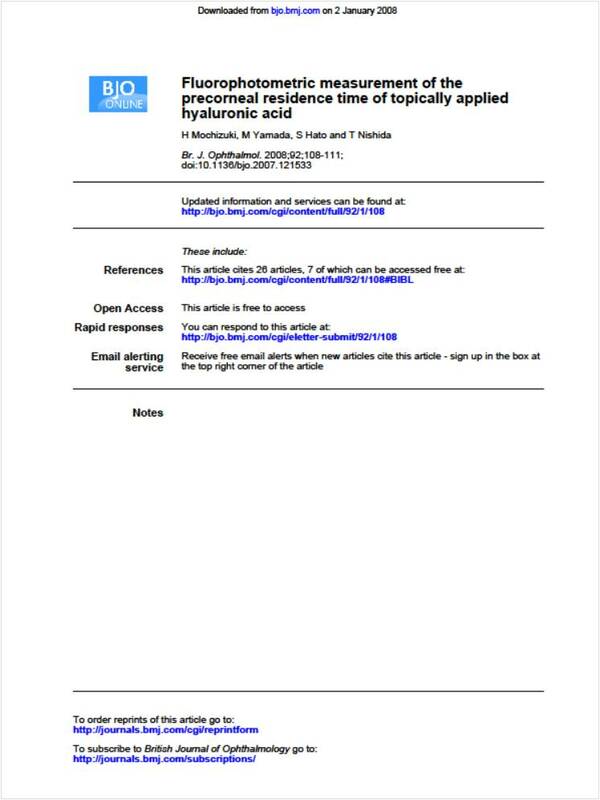 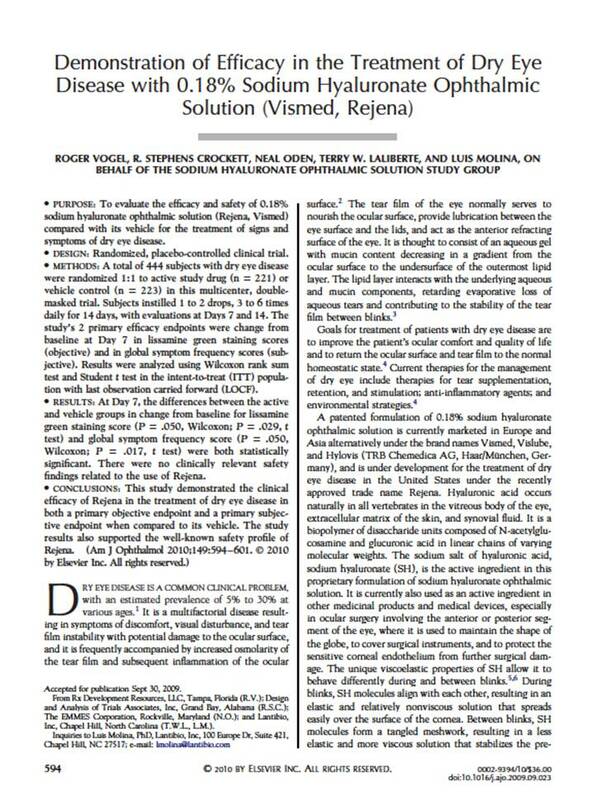 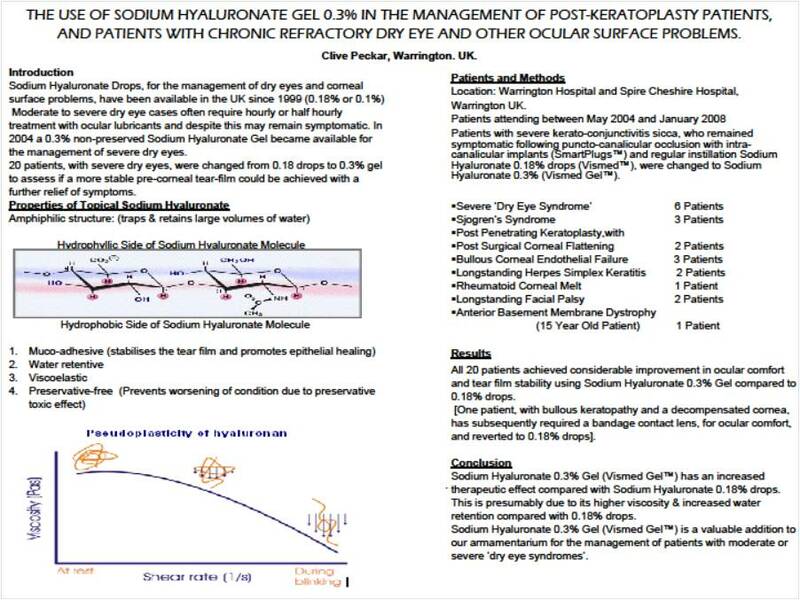 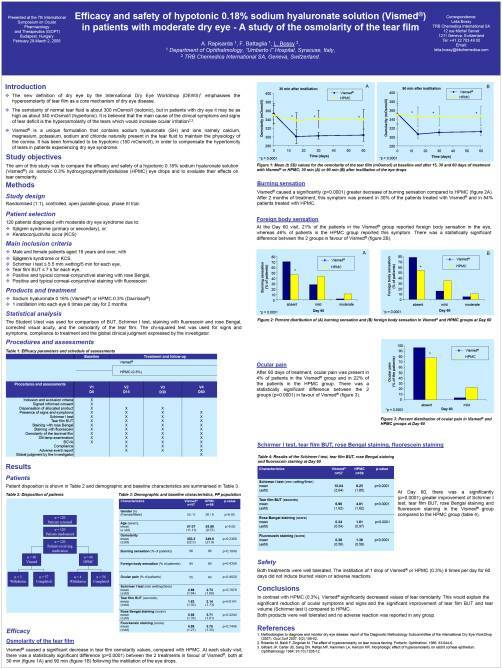 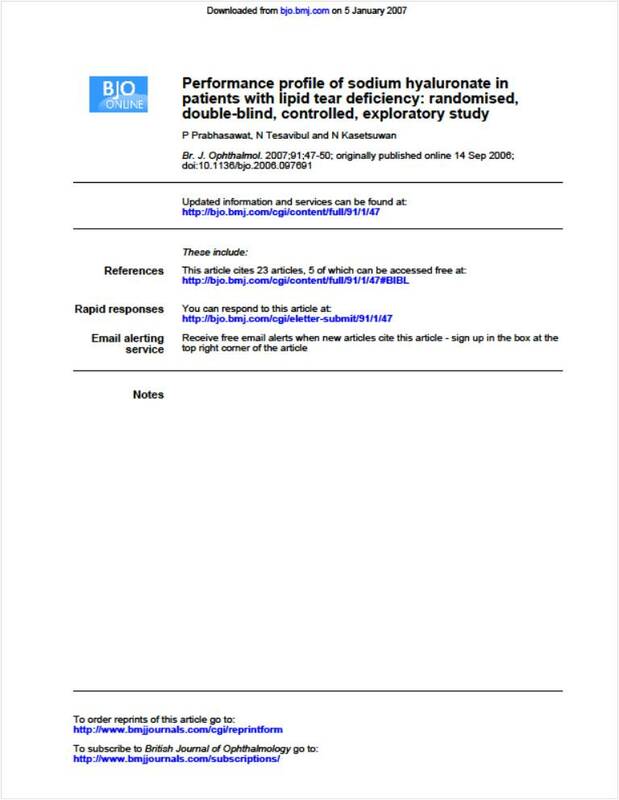 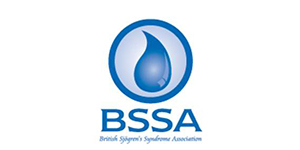 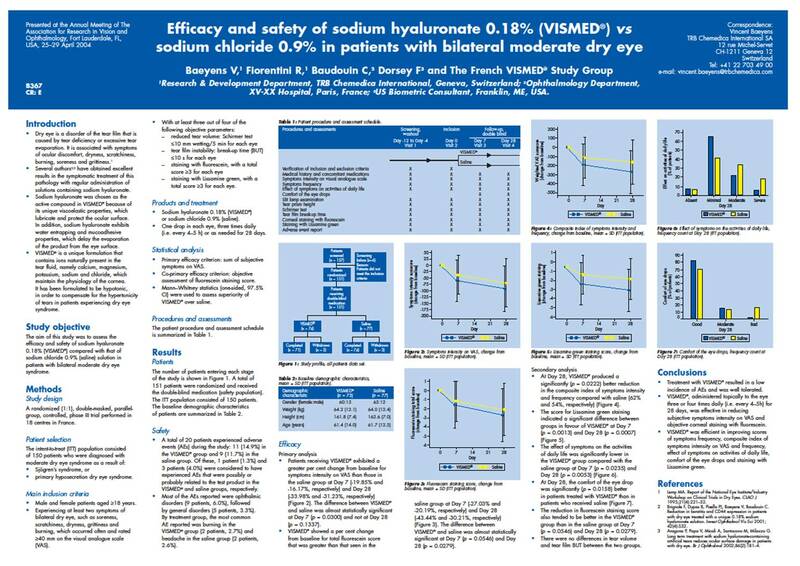 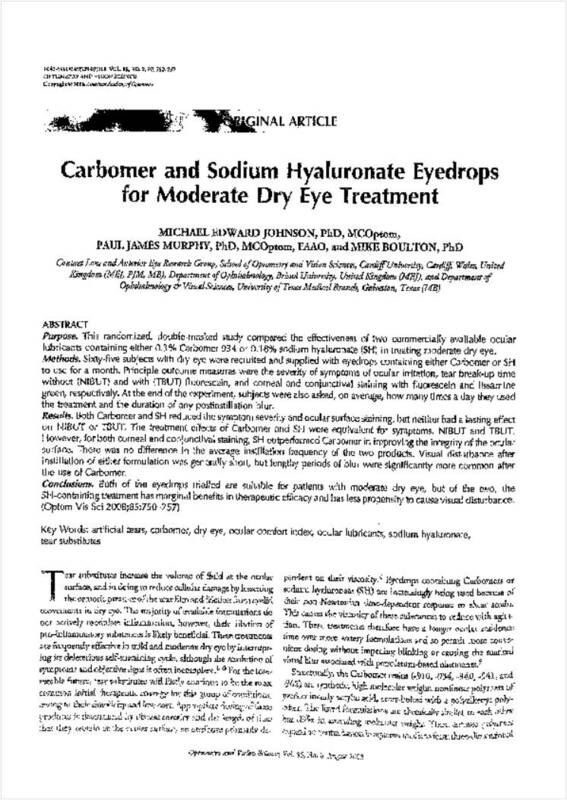 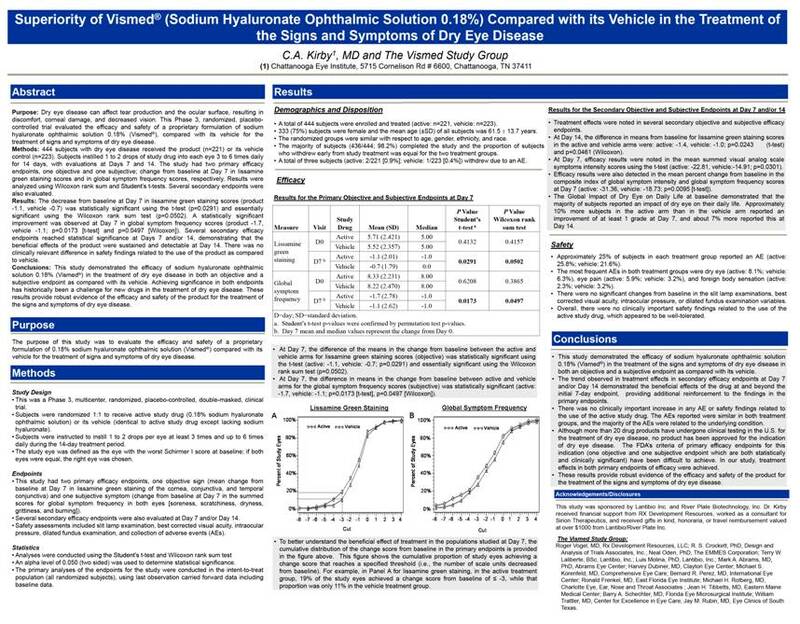 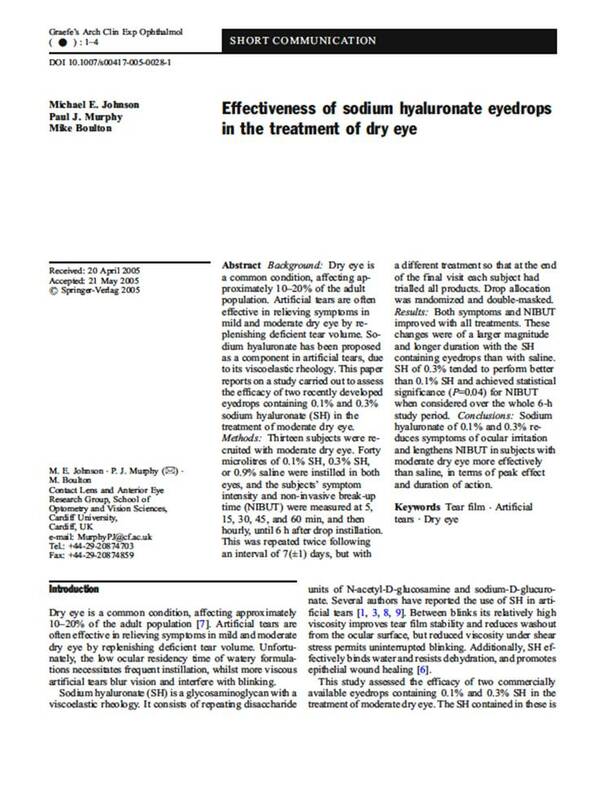 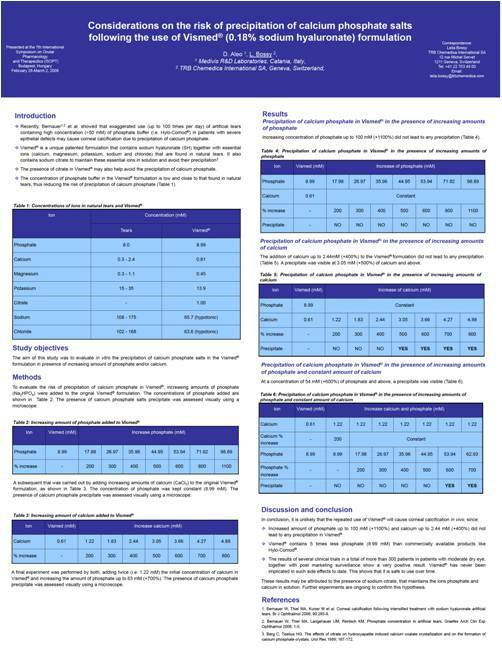 Lombardo M, De Santo MP, Barberi R, Serrao S.
Peckar C, study results presented at the 24th congress of the Asia-Pacific Academy of Ophthalmology (APAO)-Bali, Indonesia, May 17th, 2009 New OVDs: Does 2% Sodium Hyaluronate (VISIOL®) have significant advantages over 1% Sodium Hyaluronate to justify its use in Routine Cataract Phacoemulsification?